Where can I spend my Downtown Dollars? Congratulations – You must be a winner! 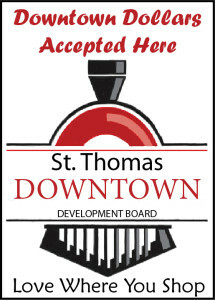 This program promotes Downtown St. Thomas to shoppers like yourself throughout our community and region. Merchants – When you receive these coupons, please ensure that the back is completely filled out then call our office at 519-633-5248.